Bollywood superstar Salman Khan on Thursday declared the 6th edition of Adventure at Mechuka festival in presence of Arunachal Pradesh Chief Minister Pema Khandu and Union minister Kiren Rijiju. 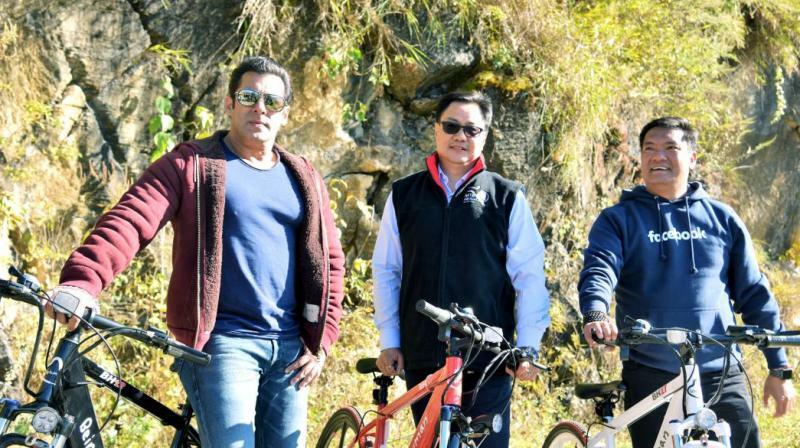 Admiring Arunachal's natural beauty, the actor promised to shoot his upcoming film in the state Welcoming Khan, Khandu thanked him for his contribution in promoting tourism in the state. Khandu said the strength of Arunachal lay in its diversity offering great many unexplored natural paradise and cultures. He said the state government has recently signed MoU with 17 private investors and the majority of them are related to the tourism sector. About hundred bikers from 10 countries including the USA, Portugal, Canada, Germany, the UK, Nepal and Bhutan took part in the Dalmia MTB (Mountain Terrain Biking) Arunachal Mountain Bicycle race that would cover a distance of 650 km. The Bollywood superstar took part in the 10km bicycle ride from Darjeeling to Mechuka along with the chief minister and Union Minister of State for Home Rijiju culminating at the festival ground. 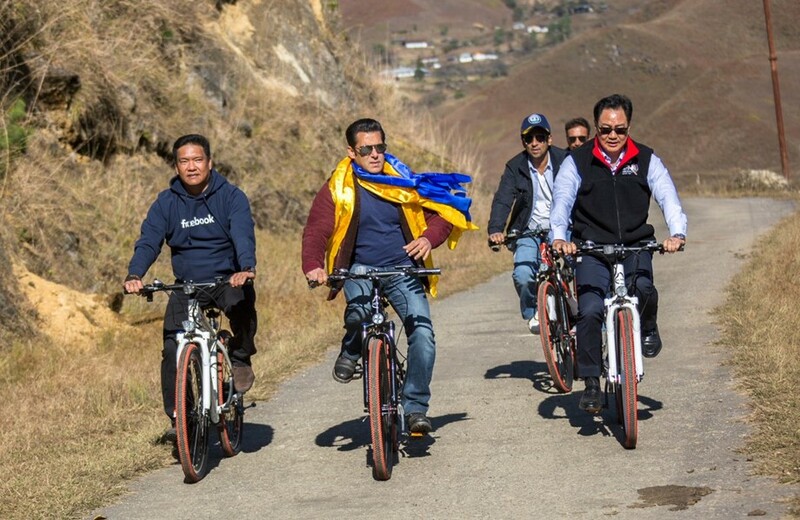 Salman Khan, Aruncahal Pradesh Chief Minister Pema Khandu and Union minister Kiren Rijiju Bollywood superstar Salman Khan on Thursday declared the 6th edition of Adventure at Mechuka festival in presence of Arunachal Pradesh Chief Minister Pema Khandu and Union minister Kiren Rijiju.